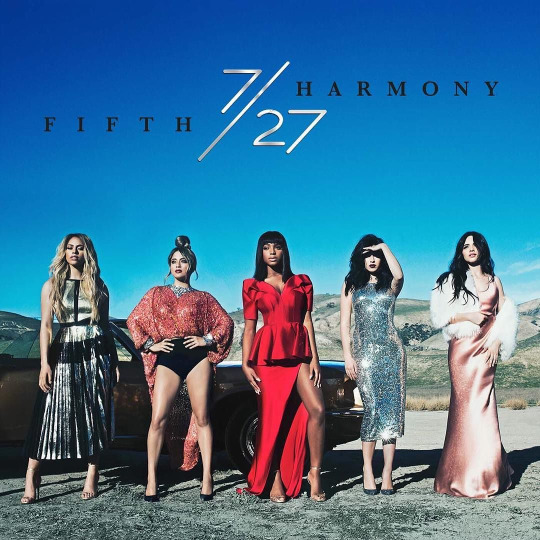 Fifth Harmony continues their self-described evolution as a group on 7/27, creating a nearly perfect album of empowering power-pop songs which could likely all fit right at home on the radio waves. But for an album whose title evokes connections to the group’s roots, naming it after the day they were officially formed on X Factor, one might assume the music presented would follow, perhaps being more similar to group member Lauren Jauregui’s stunning “If I Ain’t Got You” audition. While every single one of the tracks presented here are an earworm of the absolute catchiest kind, I personally was expecting at least a few songs to have more of the 90’s R&B stylings which was prominent on the better half of Reflection (“Everlasting Love”, “Like Mariah”). However, this is certainly a step forward for the group if their goal was to become recognizable worldwide, as it will be quite difficult for the world to ignore these songs. Fifth Harmony has proven here to be more of a singles artist than an albums artist, as these songs do not necessarily all fit together on a full album listen, but individually, they all grow on you in their own way. I was quite disappointed on my first listen to worldwide smash single “Work from Home”, but like the rest of the world eventually submitted to the pulsating beat and still play it frequently today. A handful of tracks on this album surpass even that one in terms of replay value. Any artist looking to cement their status as a powerhouse in the field of pop music is wise to work so extensively with Norwegian production duo Stargate (Rihanna, Ne-Yo), who handle about half the songs here and have an impressive list of top 10 hit singles. Other interesting collaborators are scattered throughout, such as up-and-coming EDM artist Kygo, who lends his tropical house flavour to the breakdowns of standout track “Write On Me” and … not-so-standout track “Squeeze”, as well as ex-fun. and current Bleachers member Jack Antonoff, fresh off his Grammy win for his contributions to Taylor Swift’s 1989. The sound of the album is quite consistent; a clear artistic upgrade from their ventures into the world of pop on Reflection with songs such as “Worth It” and “Bo$$”. When promotional singles “Work From Home” and “Write On Me” were released, my first impression was that the group had finally discovered how to merge the two styles they had presented previously into enjoyable music, retaining at least some of the soul behind their enormous voices while still creating commercially accessible music. This rings true for the remainder of the album as well, including upcoming single “All In My Head (Flex)”, utilizing a Fetty Wap feature to its full euphoric potential. The group themselves are aptly named, as the complex harmonies which characterize them are still found here in abundance, energizing tracks such as “That’s My Girl” and “Not That Kinda Girl”, which features a surprising and yet show-stopping verse from none other than Missy Elliott. The current trend of having an EDM dance section in place of a chorus is played into on “I Lied”, “Squeeze” and “Scared Of Happy”. Finally, perhaps the best showcase of the true talent behind the pop façade is shown when things are slowed down for the beautiful “Gonna Get Better”, the song which, in true Fifth Harmony fashion, grew on me the most from first listen. All in all, while this is definitely not the album I wanted, I can’t deny that this is an impressive body of work which is sure to vault what is already the most successful girl group in many years to even higher levels of superstardom. I definitely agree, I do think this album is pretty great for what it is but they have the potential to be so much more. They showed it on some tracks on Reflection for sure.